as containing the 1975 Easter Homily of Pope Paul VI. as containing the 1976 Easter Homily of Pope Paul VI. (Alleged to be the imposter Pope Paul VI). in eight languages common to both exhibits. 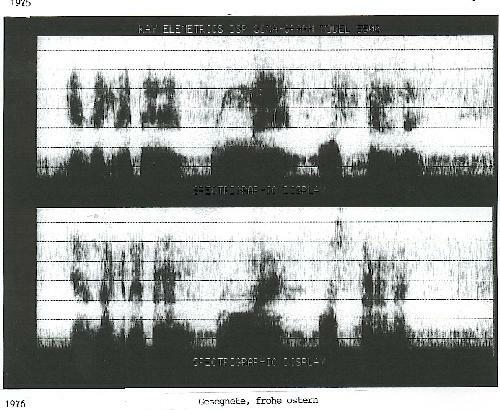 as visually displayed in spectrograms. Happy, Blessed and Peaceful Easter to You All. BY THE LEADING EXPERTS IN VOICE ANALYSIS. ON THE DVD AND VHS TAPE. Photos are only one type of physical evidence to distinguish identity. Other physical evidence includes fingerprints, voice-prints, medical findings, etc. In his Umsturz im Vatikan? (An Overthrow in the Vatican? ), Kolberg presents further evidence for the existence of the impostor pope. 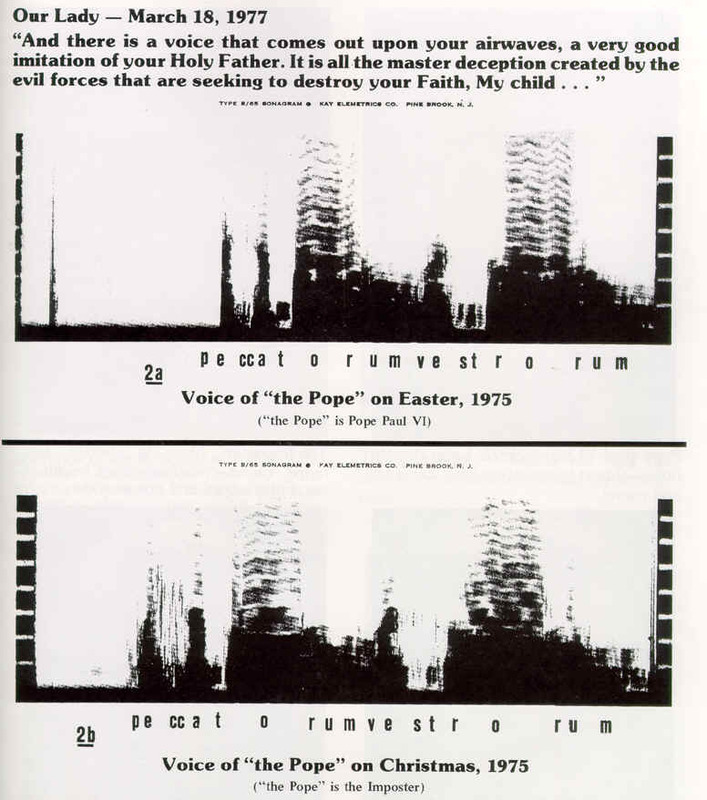 Voice recordings of the Latin "Urbi et Urbi" speech of "the Pope" were made on two different occasions. 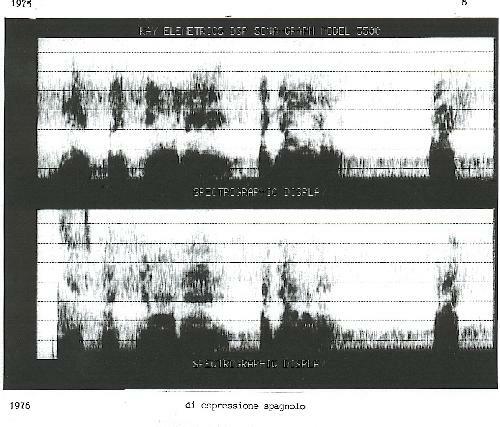 The two recordings were passed through a voice-frequency analyzer made by Kay Elemetrics of Pine Brook, New Jersey. 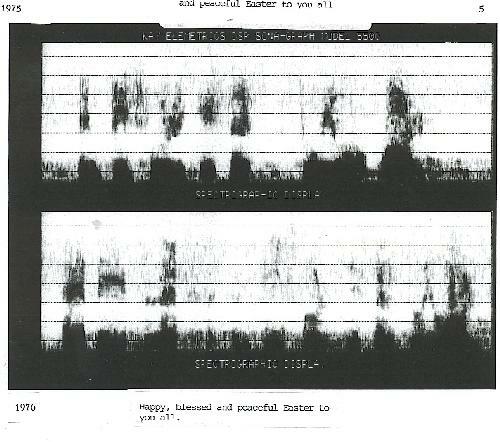 The output Type B/65 sonagram voice prints of the same words pronounced by the "the Pope" on two occasions shows that they they were made by two different men.